KUALA LUMPUR (Oct 30): The digital industry in Malaysia is not ready for a digital tax as this is a sector that is still struggling to make profits, according to iPay88 Holding Sdn Bhd executive director Chan Kok Long. In a statement today, Chan said the fintech industry, for example, has made inroads in disrupting the financial industry and changing the way business is conducted, yet the players are still investing in the business rather than making a profit. 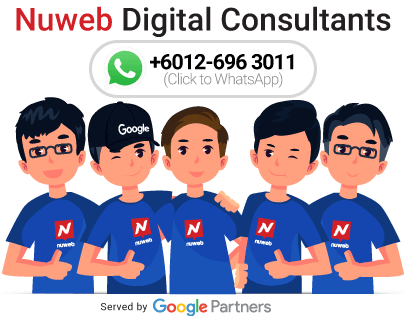 “On the other hand, the marketplace is still in infancy stage in Malaysia and many companies within the digital industry are still trying their best to break-even. “At the same time, these new tech companies are taking risks while continuously investing in R&D to stay ahead. Taxing them now may even push them to collapse or seek other countries as their base,” he said. Chan argued that the taxation of a young industry will lead to the players looking for greener pastures in neighbouring countries, which will be a loss to the country. He said the introduction of a digital tax at this point will hinder innovation and the growth of the industry in comparison to international players entering the market. “Tax is an important revenue for the government. However, instead of an industry-based tax, the government should look at taxing based on profits. “For example, international players should be taxed as they have established themselves and are able to expand into different countries,” he said. Chan said the government should set a margin-based profit tax to enable the industry to mature into a fully developed economy. “I hope the government will do an in-depth study into the industry and its challenges before implementing a digital tax without putting a barrier to the growth of the industry,” he said. Chan added that a considerable number of businesses on market places and social media are made up of small-time business owners like housewives and young entrepreneurs who just make a comfortable income, rather than millions in profit. “They shouldn’t have to pay an additional digital tax. Instead the government should create incentives and soft loans so that this segment can benefit more from e-commerce,” he said. On iPay88’s Budget 2019 wishlist, Chan said he hoped the government will defer the digital tax introduction until the digital sector is ready and when many companies in Malaysia can successfully conquer overseas market. He also proposed for the government to form a new ministry to handle digital and technology. “To help companies like payment gateways, data centres, logistics and marketplaces to build the digital ecosystem and infrastructure, we urge for the government to provide tax incentives in the upcoming Budget 2019,” said Chan.